Funny (not at the time) story: I totally failed a math class the second semester of my college Freshman year. I thought I had failed at life! (ask my college BFF who had to talk me off the ledge LOL). But alas, I am still here winnin’. Sometimes a negative experience can throw you into self-doubt and this was certainly the case for me. I struggled to answer the nagging question, “Am I smart enough?” for quite sometime. 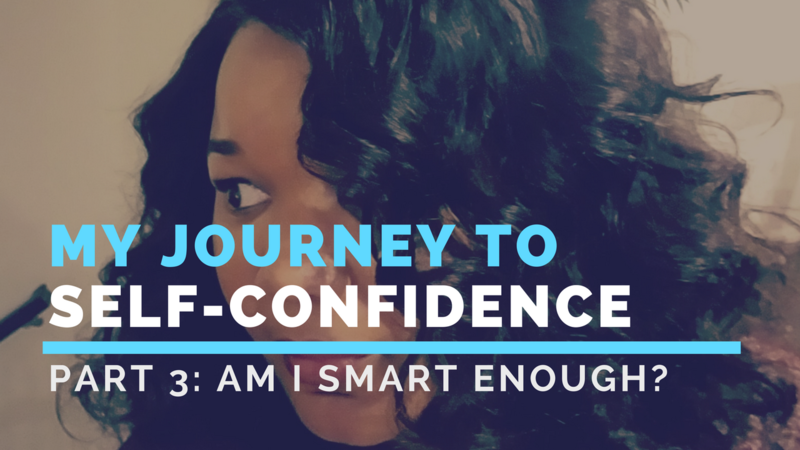 In this video I share how I overcome this self-doubt and now walk in confidence. P.S. I’d love to hear from you. Leave a comment below if you’ve ever questioned your intelligence and how you overcame that. Ladybug you are such an inspiration! You have the gift of positivity and I do do appreciate you and love you for it. Thank you! Your message is a blessing! Looking forward to hearing more! Love you back, Cassandra!! We are in this together, hunty (smile).